An attractively designed boot that combines performance and style. 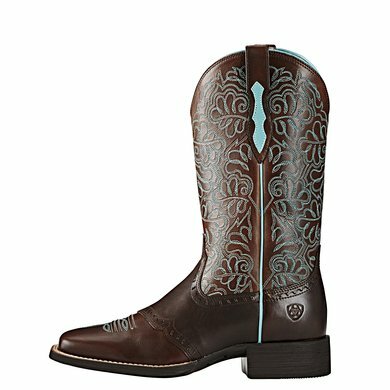 the Round Up Remuda is made of a full-grain leather upper, which is decorated with a turquoise two-row pattern. The 4LR ™ technology outsole provides maximum durability, comfort and support. The Duretread outsole is durable and provides extra grop. 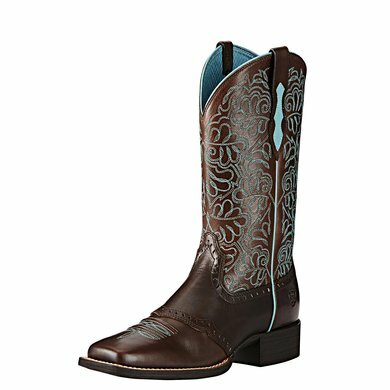 These boots fit perfectly in the wardrobe of every cowgirl. 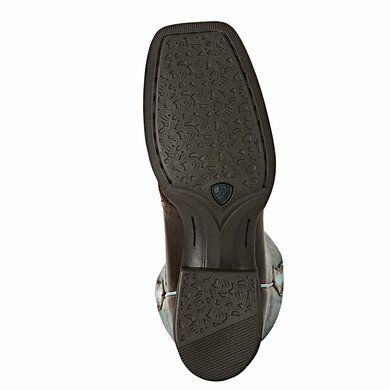 - Four-layer insole offers superior comfort. - The light hinge spring has a stabilizing effect and supports the feet. 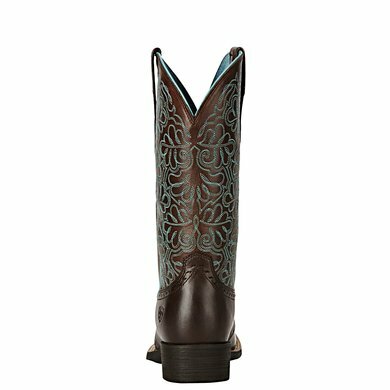 After my first pair of boots had to be replaced, I ended up on this pair of boots .. a bit hesitant anyway but order AND I am not disappointed! These boots not only have 'the looks' but are also extremely comfortable. 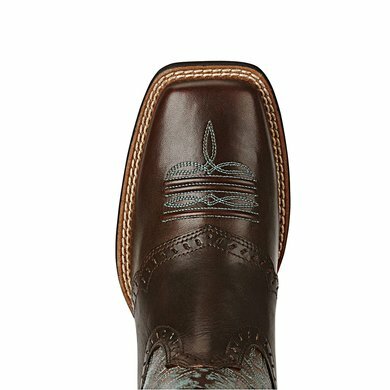 Super nice finished boots are very comfortable. Nice boot with a good fit. I normally have size 38, but Ariat boots a half size smaller.